The Rescue Scuba Diver course provides a scuba diver with the knowledge and skill needed to perform diver rescues. By the end of the course you will be able to calm panicked divers, conduct search patterns, and administer emergency first aid. 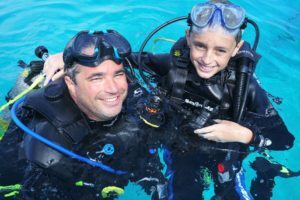 The rescue certification course is designed to develop the knowledge and necessary skills for an individual to effectively perform diver rescues and assists, and administer necessary first aid. You will cover all of the following and more!